When in New York City last week, I saw so many amazing sights and sounds. But one of my favorite was of this statue which was designed by Luis Sanguino. It’s a statue depicting the immigrants arriving in America. Ellis Island is just across the waterway as is the Statue of Liberty. I love the passion of the sculpture…and the story of stories it depicts of people finally arriving at their destination. The adversity overcome gives birth to the incredible joy or reaching the goal, the destination. Wrote a poem, but the photo is definitely worth a thousand words. 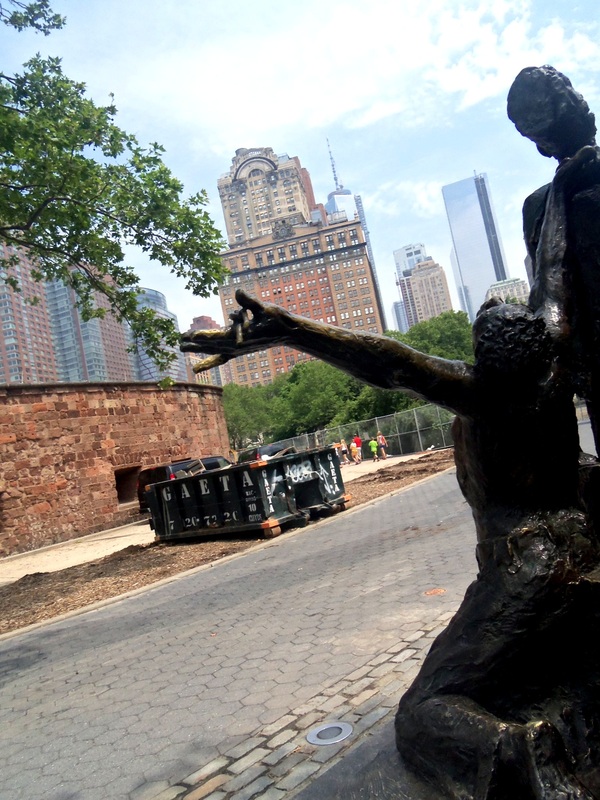 If you visit NYC, be sure to see the statues at Battery Park. They’re very moving.